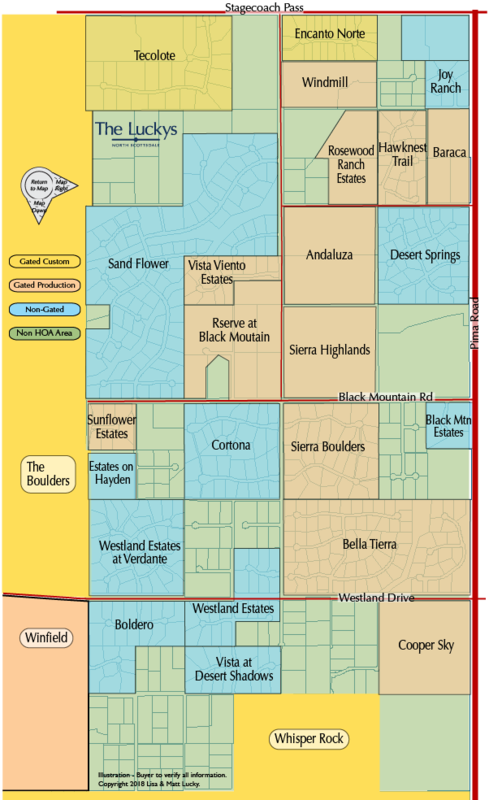 The Other Boulders Area Subdivisions Map includes smaller Boulder Character Area subdivisions include Baraca Estates, Boldero, Bella Tierra (aka Boulder Ridge), Cortona, Desert Springs, Encanto Norte, Cantada (aka Hawknest Trail), Copper Sky (future), Hawknest (future), Ironwood Retreat, Joy Ranch, Sand Flower, Sierra Boulders, Sierra Highlands, Sunflower Estates, Tecolote, Verdante at Westland Estates, Vista Viento, Vistas At Desert Shadows, Westland Estates, and Windmill by Bob Bacon. See all Other Boulders Area Subdivisions - New. See all Other Boulders Area Subdivisions Sold. See all Other Boulders Area Subdivisions.